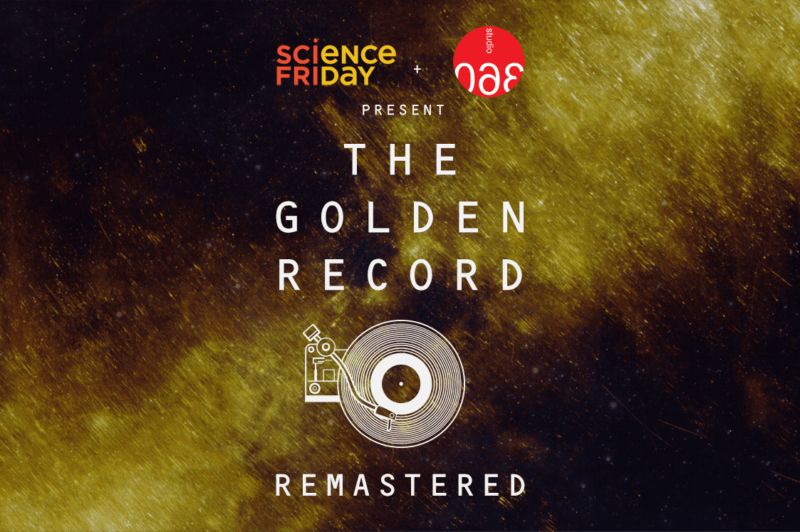 Science Friday and Studio 360 are re-imagining the Golden Record in anticipation of its 40th anniversary with an evening of art, science, and exploration. The evening is presented in collaboration with The Greene Space, Groupmuse and WQXR and will feature performances by the Ulysses Quartet and Tenth Intervention as well as a discussion with Studio 360’s Kurt Andersen, writer and blogger Maria Popova, Science Friday’s Ira Flatow and WQXR’s Terrance McKnight. Presented with support from the Alfred P. Sloan Foundation.